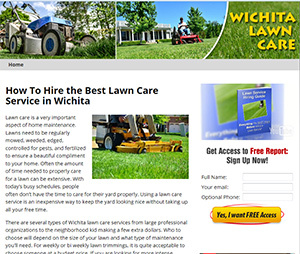 Wichita Local is a comprehensive Internet guide to Wichita, Kansas with information and links to just about anything you would want to know about the city. 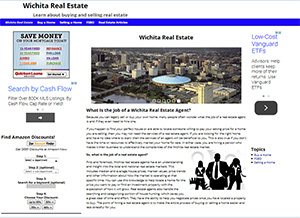 Wichita Real Estate gives you access to hundreds of resources to help you in your home buying or selling experience in Wichita and the surrounding communities.? Family Vacation Planning Guide and Hotel Reservation Portal at TheHotelReservations.com is a one-stop source for hotel reservations, family vacation planning, vacation cruises, airline tickets, RV travel, car rentals, casino destinations, and more. It provides hotel and travel information for all 50 states with many destinations including specialized attractions and features. 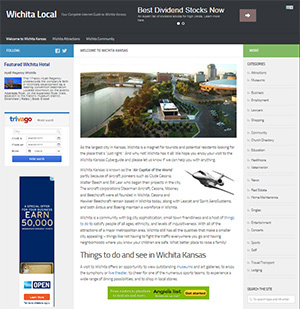 Kansas Hotel and Motel Accommodations Directory is a World Choice Travel affiliate offering real time reservations and discounts on hotels and motels in Kansas. Visitors to the site first select the city they are looking for accommodations in and are presented with a listing of featured properties. They can next view a photograph of the property and amenities or go to the real time reservation system and choose the dates and rate they prefer. Many of the hotels offer discounts as much as 70%. Hot Hotel Reservations is an online hotel booking engine providing discount hotel rooms. Featured on the site are savings up to 70% on hotel reservations in Orlando, Las Vegas, San Francisco, New York, Kansas City, and Wichita. You can also search our database of thousands of properties in cities throughout the world. The Photographer’s Marketplace offers a unique place for photographers, models and industry professionals to showcase their portfolios and products to publishers and buyers around the world. The English Springer Spaniels web site provides information regarding the English Springer Spaniel dog breed along with resources about training the Springer Spaniel, finding dog breeders, buying a puppy, grooming your dog, health issues, Springer Spaniel rescue organizations, and an extensive Springer Spaniel Blog with discussions about a variety of dog breeds. Midwest Singles Connection is the hot place where thousands of single men and single women are looking for dates, relationships, and marriage. Singles in Kansas, Oklahoma, Missouri, Texas, Colorado, Arkansas, Nebraska, and Iowa can now have a safe place to locate other singles in their area. More states will be added in the coming months. Midwest Singles Connection is the newest site with expanded articles about dating online. Online Dating for Christian Singles is a blog with articles focusing on single Christians and online dating. Avery Postcards has been in the business of producing custom postcards since 1988. The site features many examples of custom postcards as well as other custom souvenir products such as key chains and magnets. The Jeremiah Project looks at our world today from a Christian worldview. This site is content rich covering topics such as Bible Prophecy, Living in a Post-Christian Culture, Apologetics, Last Days Signs, Dangerous Deceptions, and the New World Order. There is also an extensive online bookstore filled with hundreds of Christian titles. John K. Kelso is a Motion Picture Archivist, Historian and Consultant. In other words… a movie buff! Having viewed more than 15,000 features, John can tell you just about anything you might want to know about the movies. We have combined several on-line businesses that include all the marketing tools and resources that anybody doing business on the Internet needs… things like domain names, web hosting, auto responders, lead capture pages, SEO tools, web marketing training, video creation and hosting, and web conferencing. We have everything the Internet marketer needs to succeed on the Internet. Home Business Tax Savings can probably help you reduce your taxes if you have a small business run with an honest expectation of profit and where your expenses are ordinary, necessary, and reasonable for that business. Freedom Lifestyle has many resources for the home business entrepreneur and information about how to experience more freedom in your personal, family, and professional life. Read and Succeed is an online bookstore stocked with the best personal development, leadership, and success skill books, eBooks, and audio programs. The Zig Ziglar Success Bookstore stocks the best personal development books and tapes by motivational speaker, Zig Ziglar. Other motivational titles from authors such as John Maxwell, Brian Tracy, and Robert Kiyosaki are also available. For all the “ditto-heads” of the world, there is the Rush Limbaugh Featured Sites which is dedicated to promoting the best sites on the Internet that personify the ideas of Rush Limbaugh and like-minded conservative Americans. The site contains hundreds of links to past featured sites as well as conservative news and political organizations. Smoking Aloud explores the political and social agenda behind the politically-correct anti-smoking fervor spreading throughout the world today. The site contains external links to many pro and anti-smoking sites as well as a historical perspective on tobacco, tobacco research, and major tobacco companies. Cigarette Smokers News brings you the latest news related to the tobacco industry affecting smokers everywhere. Data Synthesis, owned and operated by Vic Bilson, specializes in helping small businesses, entrepreneurs, special interest groups and organizations become more successful in reaching their target audience using the Internet. Take a look at one of my favorite hobbies, roller coasters, and a photo rich chronicle of my Headbangin’ Coaster Tour ’97. Hang on for a wild ride!